Home » Customer Service » Why Do Customers Have to Switch Channels for Issue Resolution? Why Do Customers Have to Switch Channels for Issue Resolution? 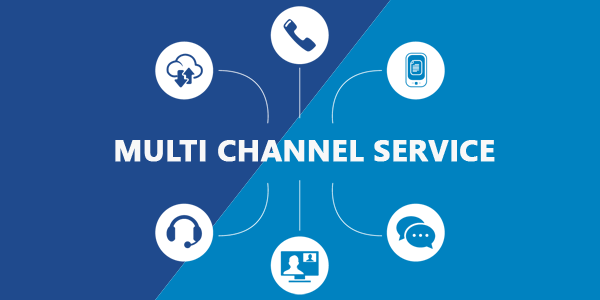 With customer communication channels on the rise, customer service has finally adapted to the multichannel environment. However, it still has a long way to go before it can deliver a true quality service across all channels. Do you have any doubts? Answer this simple question. – Is your customer service capable of resolving customer issues via the customer-chosen channel or does the customer have to switch channels to get their issues resolved? In most cases, the customer has to switch channels in order to get their issues resolved. This is especially true in case their first choice of channels was IVR self-service, SMS, or social media. When customers start with one of these channels, they are often required to make a second contact via a different channel to resolve that same problem. In most cases, it leaves them irate. Here are some interesting points. The majority of customers who start in one contact channel do not like to switch channels to resolve the same inquiry or problem. If a customer’s inquiry or problem stays unresolved and they have to contact the company again, most customers tend to go back to the initial channel they used. 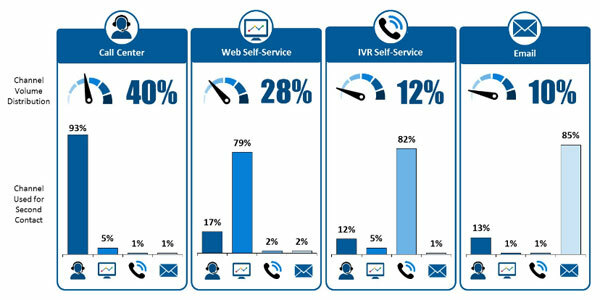 In fact, when a second contact was needed to resolve the same inquiry or issue it is found that for the web self-service channel 79% and IVR self-service channel 81% of customers used the same channel. In the majority of cases, when a customer used a different contact channel to resolve the same inquiry or problem, it was the result of the initial contact channel’s failure and not because the customer wanted to use a new channel. However, when a customer uses a second channel to resolve their issues or inquiries, the call center is by far the channel of choice. This is because the call center handles the complex inquiries and issues that the other contact channels are not capable of resolving. In addition, the model of using the same channel to resolve an inquiry is the highest with the call center channel. Therefore, comparing to call center channel, most other contact channels are lagging far behind in terms of resolving critical issues. For this reason, customers still prefer contacting a company via call center channels. They know that it can offer them one contact resolution and they love call center channel for it. However, not every contact channel can make customers this happy. They need to use other contact channels repeatedly to resolve their issues and even then, they often have to switch channels to get resolution. Therefore, it is safe to say that companies these days fail to provide a quality customer service experience across all channels. As a result, the customers still have to channel hop to fix woes. At Fusion, we hope that this issue too will soon be resolved!